(CNN) -- Egypt's antiquities minister, Zahi Hawass, said Friday he plans to step down to protest police inaction as the country's ancient treasures are being looted and vandalized. "The police cannot do enough, or anything to protect Egypt's antiquities and treasures, and I can't stand by while that happens," he said. "It is a protest really, that not enough can be done now to protect these sites and treasures." Hawass said two dozen sites have been looted or vandalized since the uprising that led to the ouster of former President Hosni Mubarak. 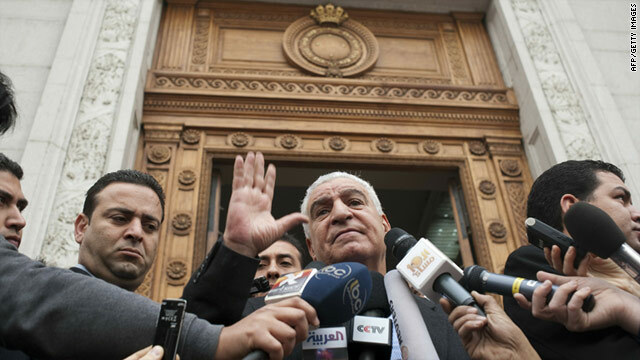 Hawass said he has not resigned yet but will if asked by new Prime Minister Essam Sharaf. Sharaf, a former transport minister tapped to be the post this week, is in the process of forming a new Cabinet. Hawass said he does not intend to be a part of it. "I have no interest in doing that at all," he said. Hawass, former secretary-general of the Supreme Council of Antiquities, was appointed to the post of the antiquities minister on January 30 under Mubarak.